Intelligence and Energy | All that you've ever been. Everything you'll ever be. | Page 2 Intelligence and Energy – Page 2 – All that you've ever been. Everything you'll ever be. What would you do if you had an extra $25 million? If you’re like Pierre Lassonde, you’d perform a massive act of philanthropy and donate that money to an institution of higher education, like, say, the University of Utah. And this would probably be just one of the multimillion dollar gifts you’d given to colleges and universities across North America. A native of Quebec, Pierre earned his MBA at the University of Utah in 1973 before going on to have a successful career in the mining industry. I attended a luncheon at the University of Utah today where Pierre was honored and the Lassonde Studios— a new building he’s contributing to— was unveiled. 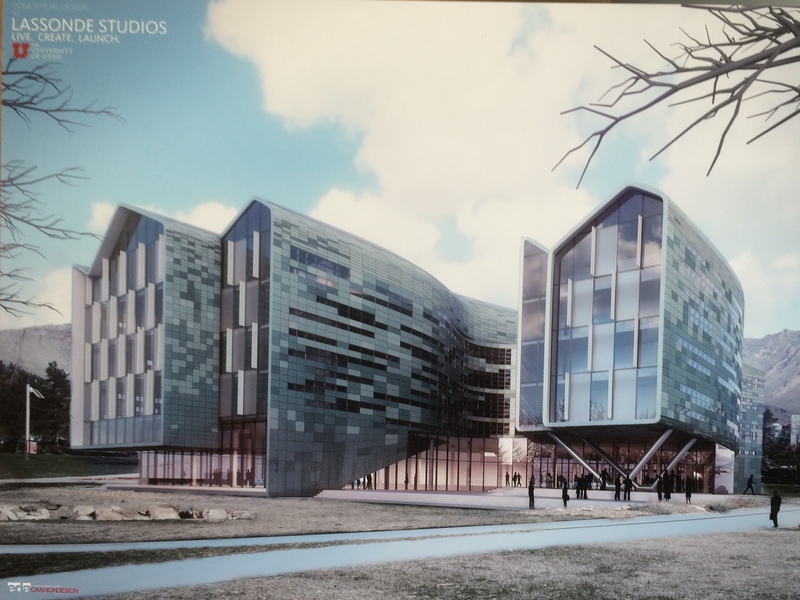 The Lassonde Studios will be one of the most unique buildings on any campus in the United States and will combine living and working space for as many as 400 student entrepreneurs. If you check out the building concept video you’ll see that this $45 million building, slated for completion in 2016, is as beautiful as it is innovative. It’s a fitting design to host a unique program that will bring together students from all backgrounds and interests, from humanities and arts to science and engineering, from medicine to business and more. In addition to being impressed by this project, I was touched by Pierre’s comments today as he shared a few things he’s learned during his career. His first rule of business is to say “Thank you.” He advises that if you’re asked to give a speech, make sure it’s no longer than ten minutes. He said that entrepreneurs often don’t actually start with a vision, they start with an idea. As they explore and move towards their idea it commonly becomes a vision, but the vision doesn’t usually come at the beginning. He encouraged entrepreneurs to start small. Failure is likely, he said, and when you fail, you’re going to lose money. By starting small you’ll lose as little as possible, but you’ll learn a lot. Your success will grow as you go. He said that all good things take five years. For Pierre, what it all leads to is giving back. His three T’s of philanthropy are Time, Talents and Treasures, and it’s important to share all three. And we don’t have to wait until we’re successful before we can share our three T’s. That’s something we can do today. It’s amazing to me that if I put a thought into words, write those words on piece of paper or type them into my computer and send them to you, if you read them, you are forever changed, at least in some small way. I picture words as vessels, like little clay pots into which we can insert meaning and emotion. For some reason I think of these word-vessels as grey with tiny lids, shaped like almonds or footballs or genie lamps. We send these vessels to others who receive not only the meaning they contain, but also the energy we put into them. It’s not uncommon that the recipient of the word-vessel adds his own meaning as well. It’s as though the recipient uses dirty or contaminated hands to remove the meaning and energy from the vessels we send. For this reason we can never really be certain that what we intended to send was what was truly received. Our messages are also diminished by noise both literal and figurative. Communication’s simple process of “encode, transmit, decode” isn’t really all that simple after all. And although the process of using words to communicate is fraught with challenges, it has its benefits as well. When we exchange words and ideas with others, we almost always become richer in the process. Unlike the transaction of goods— if I give you a dollar and you give me a dollar’s worth of goods, although we may both now have something of value that we didn’t have before— neither one of us is really any richer. But if I give you an idea and you give me an idea, we’re both richer and neither one of us had to lose anything for this to happen. We’ve grown wealthier by sharing what we have. I’m convinced that that’s the way the universe always works, even if it’s not always evident. What this means for communication is that the more love and generosity we can stuff into the word-vessels we send to others, the more we’ll receive in return, and the richer we will be. Just be sure to wash your hands. Fifteen years ago I competed for the title of National Monopoly Champion. After I won Utah’s state Monopoly championship, Parker Brothers awarded me an all-expense paid trip to Las Vegas to compete in the national tournament, where I finished fifth overall. I missed out on the final game by just one position. I’ll go to my grave feeling confident that I would have won that championship game. Being the first player excluded from a seat at the championship table was hard. Watching the eventual champion use the same strategy I had used to beat him in the first round made it even harder. I’ve learned a lot about life by playing Monopoly. During my teenage years I had stretches where I spent more hours playing Monopoly than I did sleeping. I’d play anyone who’d accept my challenge. When no one would, I’d compete against myself, playing all four (or sometimes eight) positions myself. In Monopoly, every other game, and life in general, I hate losing even more than I love winning. And I can’t think of anything that I love more than winning. I can’t stand the smacking, stinging quality that losing possesses. If there’s any upside whatsoever, it’s that losing can provide perfect clarity, deeply impress lessons, and impart an intense determination to perform better in the future. Playing a game of Monopoly with me doesn’t resemble the games that most people played as children. It generally takes me only 45 minutes to finish a four-player game. Some people think that Monopoly is merely a game of luck, or a simple kid’s game. I like to invite those people to play a game with me. Of course, any game that uses dice contains an element of luck. But there’s a lot more to winning Monopoly than rolling well. It helps to know the rules inside and out, and to use them fully to your advantage. Many years ago I bought and studied a book called The Monopoly Companion. It provides statistical tables showing which color groups provide the best return on investment, which properties are landed on most often, and a host of other insights and tips that increase a player’s chances of winning when applied consistently. Monopoly’s rules are a bit like tax laws— most of them aren’t all that complex, many of them are situational, and by the time they’re all layered on top of one another they can seem pretty overwhelming. Those who understand them well and bend them to their favor benefit far beyond those who don’t. I quit being surprised a long time ago that most people don’t know or play by Monopoly’s rules. It’s one of my life’s minor joys to witness an opponent’s surprise when I invoke one of the more obscure rules at a pivotal point to tip a game irreversibly in my favor. One of my favorite rules to exploit is the housing shortage. It’s based on the fact that there are only 32 houses in the game, and once they’ve all been purchased no one can buy a hotel even if they have the money to do so. It’s the kind of thing that doesn’t seem like a big deal, but used correctly it can be game-defining. Another strategy I employ is memorizing the sequence of the Chance and Community Chest cards. There are sixteen of each, and because they stay in the same order, if you pay attention once you’ve seen them all you’ll know which ones are coming up. This allows me to make more intelligent trades, to build (or abstain from building) houses or hotels at the most strategic times, or to hold cash in reserve when I’m at high risk of landing on a card that would require a large cash outlay. Also, I don’t put money in the “Free Parking” square. First, it’s not in the rules, and second, it makes absolutely no sense to infuse cash into the monetary system of a game whose point is to bankrupt your opponents. One thing I absolutely believe increases my odds of winning is that I exert positive belief into my play. Every time I roll the dice, from the moment I pick them up, I look at what I want to roll and repeat that number in my mind, or often out loud. It’s amazing how often I roll what I want. By contrast, I have a friend who loudly announces what he doesn’t want to roll— the Go to Jail square, the property that’s already been purchased, or the one with a hotel on it that will bankrupt him if he hits it. I swear that he lands exactly what he doesn’t want to more often than he avoids it. It reminds me of Henry Ford’s saying, “Obstacles are those frightful things you see when you take your eyes off your goal.” It also makes me think of what race car drivers are taught about “target fixation,” or looking where you want to go rather than where you don’t want to go. One of the things I love about Monopoly is that unlike life, it is a closed system with clear rules and knowable and (mostly) predictable outcomes. I also love that every loss can be easily wiped from memory with a subsequent victory. From Monopoly I’ve learned that before you even sit down to play you’ve got to have absolute confidence that you’re going to win. I’ve learned that it’s important to take action— to ask for what you want and to be creative when dealmaking. I’ve learned that it’s important to pay attention— after all, opponents don’t owe you rent if they land on your property and you don’t ask for it. Monopoly has taught me that it’s possible to overcome seemingly impossible adversity— I’ve won games where I was only able to purchase a single property the entire game. Of course, it helps to know the rules backwards and forwards and to use them to your advantage whenever possible. But as much or more as any of these lessons, I’ve learned that there’s immense power in focusing on and believing in the best possible outcome. I’m amazed at how often it becomes reality. I don’t know why it works, but I know that it does. In my mind I’m undefeated still. I invite you to share with me your favorite memories or aspects of Monopoly! If you’ve never seen one, a float tank looks like a giant 1970’s-era refrigerator. It’s basically a lightproof, soundproof cube that’s nearly 10 feet to a side, filled with about 18 inches of body-temperature water and nearly 800 pounds of Epsom salt to ensure effortless floatation. Spending an hour in the float tank was simultaneously one of the strangest, most challenging and enlightening experiences of my life. It’s sort of like forced meditation, but I suspect that if a person wasn’t ready (or willing) to experience it, it could be a form of torture. While inside, there were definitely moments where my mind chewed on itself. I came away from the experience with a renewed desire to experience a true zero-gravity environment. Also, I’m more committed than ever to avoid any course of action that contains even a tiny chance of me spending any amount of time in solitary confinement. Each morning and evening I review my goals. I carry a piece of paper with these 13 goals written on it, and I take it with me everywhere I go. I used my time in the float tank to mentally review these goals, to visualize their accomplishment, to think about the next steps for each one and to imagine how I will feel after they are achieved. The hard part about talking to God (at least for me), is that it can be so hard to know when God’s talking back. I often find myself asking a question hoping for, or even expecting, a certain response, and it can be so challenging to know what the response is, or even if there is one. As I lay there floating in darkness alone with my thoughts, hoping for some kind of answer, I felt a confirmation that the things on my list were good. I reflected that it’s not necessarily about the specific things we do anyway, it’s about how we do the things we do. That what really matters is that we act from a place of loving kindness, mindfulness, service, humility, integrity, gratitude and generosity. I thought about the fact that each of us has unique gifts to give, and that one of the best ways to share these with others is by doing work that we truly enjoy. I’ve thought about this many times before, and I’m aware that this can sound simplistic, or even selfish. But as I explored this idea in the float tank, I had an insight that I’d never had before. It’s that our passion and enthusiasm are gifts we can share with others over and above the objects that we’re passionate about or the results of the work we do. For example, if I love pinball, motorcycles or writing (which I do), and I share my excitement about those things with you, that excitement is distinct from and in addition to any enjoyment you might (or might) not derive from pinball or motorcycles or writing. And if you love seventeenth century French literature or rock climbing or accounting and you share with me your passion and excitement about those things, your energy and enthusiasm will almost certainly inspire and uplift me, even if I don’t share your love for those things. Enthusiasm makes us magnetic, especially when it’s derived from a sense of purpose— that’s often what draws us to leaders. If we aspire to lead, we might benefit from H. Jackson Brown’s advice, “Become the most positive and enthusiastic person you know.” And to remember Ralph Waldo Emerson’s words, “Nothing great was ever achieved without enthusiasm.” Finding something we’re enthusiastic about and sharing that enthusiasm blesses and elevates everyone around us. It draws people to us. As I concluded reviewing my goals and imagining how my life will look once I accomplish them, I felt enthusiasm naturally surge inside me. Jack Canfield once told me that if you don’t wake up every morning excited about the day you’re about to live, you either don’t have enough goals, big enough goals, or the right goals. Simply having the right goals, he says, creates a positive tension within us that pulls us toward the accomplishment of those goals and naturally stimulates enthusiasm. As I reflected on all this, a thought from the coaching training I had just completed came to mind— the idea that when we set a goal, whatever we set as our goal is not actually our goal. Our true goal is to feel whatever it is we believe we’ll feel when we reach that goal. What we originally thought was our goal is merely our strategy to achieve a feeling. In other words, if set a goal to become a certified coach because I think it will bring a sense of accomplishment and provide me with the satisfaction that comes from having served others, I would benefit from remembering that those feelings are available to me now. And the more I consciously endeavor to experience those feelings, the more they will show up in my life. 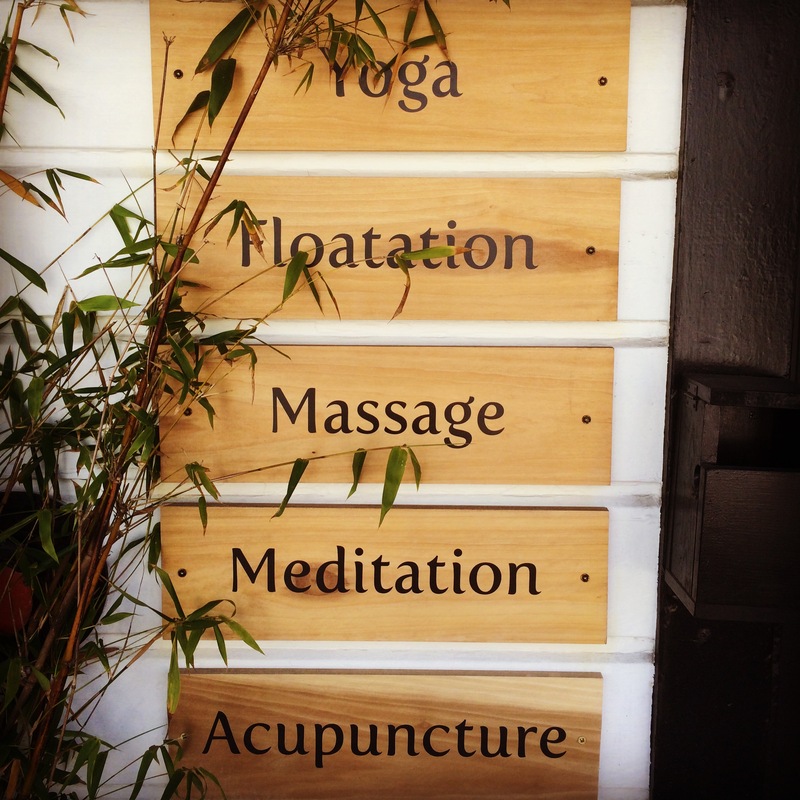 I emerged from the float tank, showered and left the spa, and stepped onto one of San Francisco’s sidewalks. The city’s colors were richer than they’d been just a couple hours before, the air was crisper and the sounds of traffic sound were sharp and clear. I had a deepened appreciation for the privilege that being alive is, and felt a greater purpose and enthusiasm for pursuing my goals while enjoying the journey along the way. I wished I could hold onto that clarity, but I knew that life’s realities and responsibilities would inevitably wash it away. The struggle to hold onto, or at least periodically regain as much of that clarity as possible, is part of both life’s challenge and reward. I resolved to not allow it to simply float away. I don’t know about you, but when I think about my life’s short remaining years, it sends my mind churning. I recently plugged my 100th birthday into a countdown timer I downloaded from the App Store and discovered that if I live that long, I have only 774 months left on Earth. It doesn’t sound like much when you put it that way. And to reach that birthday, I’ll have to avoid major crime, accident and disease. The odds are not in my favor— I’ll feel fortunate if I manage to do it. When I think about my remaining time on Earth, I feel like I’ve fallen from a great height, like I’m plummeting from a plane at cruising altitude. Eventually, of course, I’ll hit the ground, which means the only thing that matters is what happens before I do. When I reflect on what I want to become, accomplish and acquire with my remaining time, I feel a strong urgency to get clear about what those things are, exactly, then to get to work making those things a reality. It can be crazy difficult to know what we want, but so easy to know what we don’t want. If you don’t know what I’m talking about, just try asking your spouse what they want for dinner. Did I ever tell you about the time it took me nearly eight years to get clear about something I don’t want? I spent those years toiling in Utah’s West Desert to make my dad’s last major project, Miller Motorsports Park, successful. I stayed for so long for two reasons: 1) My dad wanted me to— he knew it would be a great learning opportunity for me to participate in building a business literally from the ground up, (he was right); and 2) I didn’t know what else to do. If I’m honest, there was a third reason, and it’s that there were significant aspects of it that I loved. These include working with a fun, talented and dedicated team, and the challenge of learning about every aspect of a very complex business. And I LOVE that the fans and competitors who visit the track LOVE it. After all, Miller Motorsports Park is essentially just a big playground. My awakening relative to how I want to spend my remaining years happened gradually. During my time at Miller Motorsports Park I got clear that I love helping people understand why the work they do is important, how they can have fun doing it, and how they can be the best at it. I got clear that I love to talk about ideas, that I’m never happier than when I’m growing or serving others, and that I’m passionate about presenting to large groups of people. All of these realizations grew out of my time at the Park, and many of them specifically trace back to my time as the go-to guy who gave tours during the Park’s early years— I gave thousands of facility tours. From my time at Miller Motorsports Park I also got clear that I want to spend the rest of my life learning, teaching, talking with people, traveling, discussing ideas and talking about the future. This clarity led me to create Miller Inspiration, a company where I am able to combine all of these passions while serving business leaders, entrepreneurs and employees of the Larry H Miller Group. So, even though I can’t prevent my life from ending or stop my metaphorical fall, I can make the most of my time on the way down. And who knows, maybe somewhere along the way I’ll even discover that I have wings. I write in order to develop my powers of concentration. Of course, each moment we’re alive presents us with an opportunity to practice developing our concentration and our ability to focus— every bite of every meal, every word of every conversation, every motion in every household chore or bit of yard work, every email written and read, every commute. Everything. Mihaly Csikszentmihalyi wrote a book about the flow state, appropriately titled Flow: The Psychology of Optimal Experience. In it, he writes, “Contrary to what we usually believe … the best moments in our lives, are not the passive, receptive, relaxing times—although such experiences can also be enjoyable, if we have worked hard to attain them. The best moments usually occur when a person’s body or mind is stretched to its limits in a voluntary effort to accomplish something difficult and worthwhile. Another reason to consciously develop powers of concentration is that the ability to focus is very often foundational to success. Last year I completed a training with Jack Canfield in which he shared with me that during his research for the book The Power of Focus, he and his writing partners interviewed more than 2,000 successful entrepreneurs in order to find out what made them successful. Almost without exception, Jack and his partners found, every successful entrepreneur possesses three attributes: 1) a high degree of clarity about what they want to accomplish; 2) powerful success habits (in the form of daily routines and disciplines); 3) a high degree of focus, or concentration. My dad certainly possessed all three of these attributes. If he was in a meeting or on a phone call, especially if he was doing a mathematical calculation in his head, it was nearly impossible to distract him. I do remember him sometimes becoming irritated by background noise, or kids playing loudly outside (of whom I was often one). If the sound of my playing managed to penetrate his concentration he would tell me to play somewhere else or simply to be quiet, and then he would go back to concentrating. His level of concentration was extraordinary, and it was a big part of what made him successful. For me, understanding that we can develop our ability to concentrate feels a bit like “cracking the code” of success. I mean, it’s easy to look at people who are extraordinarily successful and simply attribute their success to natural talent, sheer luck or hard work. And in many cases, of course, all three of those things are true, but it’s also true that many of those phenomenally successful people have a great capacity for concentration that they have developed consciously or otherwise. And we can do the same. For me, each writing session provides an opportunity to consciously slow down and deliberately attempt to fully experience the present. I endeavor to carry this mindfulness into every aspect of my life, and those ephemeral moments when I succeed in this effort are always gratifying. After all, our only point of power exists in the present.